Originally from Warsaw, Poland, Marcin recently graduated with a First Class Honours MChem degree from the University of Oxford (Jesus College). He completed his Part II project under the supervision of Prof Tom Brown on the synthesis of RNA with amide linkage modification. 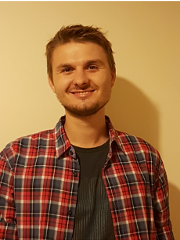 While working on the final year project, Marcin developed interests in the area of chemical biology which he is planning to focus on during his DPhil. Marcin often moves the lab to the kitchen, where he is keen on exploring new recipes and developing his passion for cooking. In his spare time, Marcin also enjoys riding longboard and attending music festivals. At heart, a real singing enthusiast with his girlfriend being his most devoted (and probably the only…) fan. 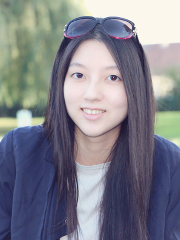 Xinlan is the recipient of a University of Oxford’s Clarendon Scholarship. Born and raised in Singapore, Xinlan recently graduated with a First Class Honours MChem degree from the University of York. 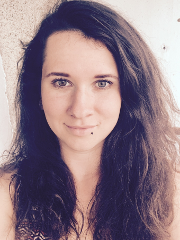 She completed her Master’s thesis during a yearlong placement at F. Hoffmann-La Roche, Switzerland, synthesising novel molecules for the treatment of Alzheimer’s disease, and received the EFMC-Roche Studentship award. Her research interests include total synthesis and she is particularly interested in novel synthetic technologies for application towards biologically important molecules. Outside of the lab she enjoys travelling, art, watching films and lots of outdoor sports. 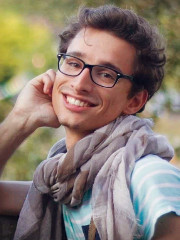 Originally from Versailles, France, Benjamin recently completed a joint degree in Chemical Science and Chemical Engineering with a specialisation in Molecular Chemistry between the National Graduate School of Chemistry - Chimie ParisTech and the Université Pierre et Marie Curie in Paris. After a five-month internship a F. Hoffmann La Roche in Basel, Switzerland working on medicinal chemistry projects aimed at tackling schizophrenia and infectious diseases caused by resistant bacteria, Benjamin completed his Master's dissertation on the synthesis of novel inhibitors against epilepsy at Actelion Pharmaceuticals (now Idorsia Pharmaceuticals) in Allschwil, Switzerland. 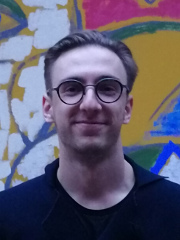 By joining the SBM CDT, Benjamin hopes to further increase his knowledge in modern organic synthesis in order to apply it to medicinal chemistry in the future. Outside the lab, he enjoys listening to music, dancing, cooking and baking for his friends and colleagues, as well as spending time on social media and playing video games. Originally from the south of Germany, Sven obtained his Master of Science in Life Science from the University of Konstanz. 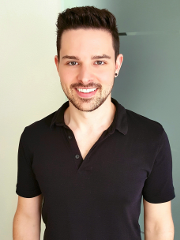 During his studies, Sven conducted a 3-month internship at the King Mongkut's University of Technology Thonburi in Bangkok, Thailand, in the field of medicinal chemistry. For his master's project, Sven spent 6 months in Prof. Gunda I. Georg’s laboratory at the University of Minnesota, USA, researching novel bromodomain inhibitors for male contraception. His academic interests are organic synthesis, drug design/development and medicinal chemistry. Sven is planning on working in the pharmaceutical industry after his DPhil. When not working, Sven likes to go swimming or running. 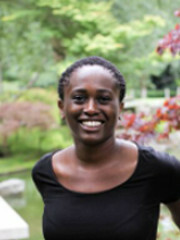 Ndi is from south east London, and completed her Master’s degree in Chemistry at Imperial College London. During the summer of 2016 she worked under the supervision of Prof. Jason Hein at the University of British Colombia. Her project involved synthesising novel ionic liquids via Click chemistry. She undertook her final year project with Prof Anthony Barrett, developing enantioselective syntheses of novel meroterpenoids using palladium-catalyzed decarboxylative allyl migration reactions. Ndi’s interests lie in total synthesis and structure-activity relationships in drug discovery. In her spare time, Ndi enjoys singing, videography and Afrobeat dance. Originally from Dublin, Ireland, Niamh completed her MChem degree in Medicinal Chemistry at the University of St Andrews. 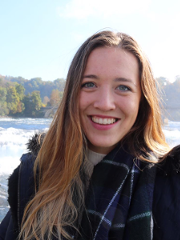 During her fourth year, Niamh undertook a one-year research internship at F. Hoffmann-La Roche, Switzerland, where she was involved in the synthesis of novel small molecules in the areas of oncology and neuroscience. 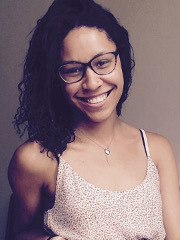 Having focused on natural product synthesis in her final year, she has a keen interest in the application of innovative synthetic methodologies to the design of biologically active scaffolds. Outside of chemistry, Niamh enjoys cooking, dancing and soaking up new cultures through travelling. Zac grew up in County Down, Northern Ireland, and graduated in 2017 with an MSci degree in Chemistry from Queen's University Belfast. For his final year project, Zac worked under the supervision of Dr. Peter C. Knipe to develop foldamer analogues of protein tertiary structures. During his degree, Zac completed a twelve-month placement at AstraZeneca, Macclesfield, where he worked as part of a process chemistry team on a range of drug development projects. Zac enjoys most aspects of organic chemistry, but is particularly interested in catalysis, supramolecular chemistry and chemical biology. Outside the lab, Zac likes to play the drums, catch up on the latest TV series, and travel whenever he gets the chance. 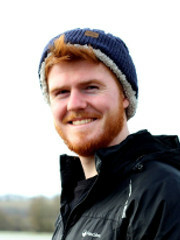 Ciaran is from Cheltenham and graduated with a Masters in Natural Science from the University of Cambridge in 2017. In his masters project Ciaran worked under Prof. Paterson as part of a team working on the synthesis and stereochemical characterisation of hemicalide. In his spare time he enjoys archery, ultimate frisbee, board games and sketching. Daniel is originally from Peterborough and obtained an MSci from the University of Nottingham. During his 3rd year, Daniel did an industrial placement at Sygnature Discovery working as part of Sygnature's contribution to the European Lead Factory (ELF) project. For his final year project, Daniel worked with Dr. James Dowden on exploring and validating a route to a natural product using a cyclopropane ring expansion. His academic interests lie in the development of new methodologies, in particular ones that allow for robust and efficient synthesis, and natural product synthesis. 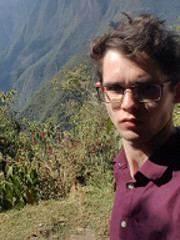 Daniel's biggest hobbies are board games and debating, having been a member of the Nottingham debating union for 3 years and competing in this Summer's European university championship. Jonathan completed his MChem at St Catherine's College, Oxford. In his final year he worked on the development of a novel synthetic route to Salinosporamide C under the supervision of Prof. Jeremy Robertson. Jonathan is interested in the synthesis of natural products and their use as lead compounds for drug discovery. Outside the lab he enjoys watching all forms of motorsport and spending time exploring the pubs of Oxford. Daniel graduated with a First Class Honours MChem degree from Cardiff University, having won two undergraduate awards for outstanding first year performance and best third year placement student. 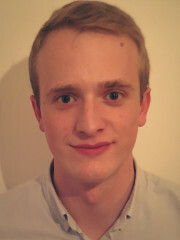 Daniel undertook a placement at Merck Chemicals Ltd in Chilworth, Southampton, studying the function various organic and siloxane copolymers as insulators and backplanes for OTFTs. His MChem research project under the supervision of Dr Louis C. Morrill was based on the synthesis of a family of Troponoloid derivatives and the screening of their Lewis base organocatalytic functionality within the Steglich rearrangement. 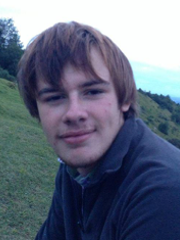 Recently, Daniel undertook a summer project at the University of Oxford under the supervision of Prof. Steve G. Davies, using N and O trading methodology in the asymmetric synthesis of the natural product Sphingofungin B. Daniel's hobbies include running, playing guitar and seeing mates for a pint at the pub. 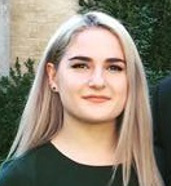 Helena completed her MChem degree at Exeter college, Oxford and for her final year project she worked with Prof Jeremy Robertson and Prof Luet Wong towards a total synthesis of trigoxyphins, incorporating the use of P450 enzymes for late stage functionalisation. At an internship with FitnessGenes, Helena learnt about genotyping and using genetic traits to specialise training methods. 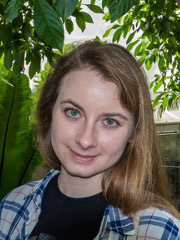 Helena is interested in the use of stereoselective and catalytic methodologies in the total synthesis of relevant compounds, and exploring new areas of chemistry. When not in the lab, she enjoys being out in the mountains ski racing, climbing and walking the dogs, with a bit of cycling and horse riding too! Mihai is the recipient of the Lady Margaret Hall-SBM CDT Graduate Scholarship 2017. He obtained his MChem degree from the University of Manchester. For his final year project, he had the oportunity to work with Prof. David J. Procter on samarium diiodide mediated cascade reactions towards the total synthesis of Phaeocaulisin A. His current academic interests include development of synthetic methodology that can be applied towards total synthesis of natural products, as well as computational chemistry. Outside the lab, he enjoys traveling, listening to music and watching a good movie. Tanya is originally from Moscow, Russia, but grew up in Toronto, Canada. She obtained her BSc degree in Chemistry and History at the University of Toronto, where she worked on developing novel boron-containing biologically active small molecules under the direction of Prof. Andrei Yudin. She also completed a DAAD RISE internship during her studies at the University of Ulm, Germany, in Prof. Max von Delius group, where she researched new synthetic routes towards new covalent organic framework (COF) materials. She is interested in total synthesis of bioactive natural products and in the design and modification of enzyme inhibitors. Outside of the lab, Tanya loves to travel, scuba dive, read Soviet science fiction and go on hikes in the local wilderness. Klemensas is originally from Vilnius, Lithuania. He recently completed his MSci degree in Chemistry at the University of Nottingham, with a year-long placement at GlaxoSmithKline working as a synthetic organic chemist. Under the supervision of Dr. Thomas Mcinally and Dr. Simon Macdonald (GSK), Klemensas's final year project focused on the design and synthesis of novel vbeta6 inhibitors. 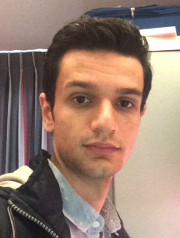 For his DPhil, Klemensas hopes to further build on his knowledge of medicinal chemistry, its biological aspect in particular. 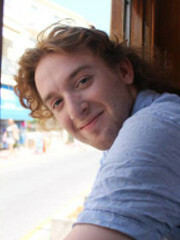 Outside the lab, Klemensas enjoys playing the cello and bass guitar, watching TV shows, and exercising. 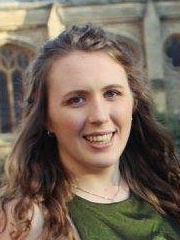 Bethany is from the High Peak and completed her MChem degree at Pembroke College, University of Oxford. Her Part II project, under the supervision of Prof. Ed Anderson, investigated palladium and ruthenium catalysed cycloisomerisations of enynamides, with application towards the synthesis of Gelsemine. She has a wide range of interests within organic chemistry, particularly new synthetic methods and their application to drug discovery. Outside of the lab Bethany enjoys climbing, American football and going to the pub. Originally from London, Lewis graduated with First Class honours MSci degree in Chemistry from the University of Bristol, and was awarded the Mike Rothwell Prize for best overall performance on the industry degree program. During his third year, Lewis undertook a one year internship at GlaxoSmithKline, working in drug discovery. In his final year, under the supervision of Professor John Bower, he investigated copper catalysed intramolecular hydroamidations of alkynes. 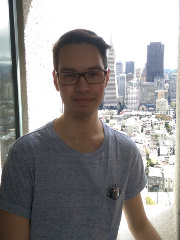 More recently, Lewis completed a three month internship at Genentech in San Francisco, working on asymmetric enolate alkylation mediated by photoredox catalysis. 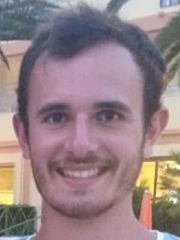 Lewis's research interests are primarily in developing novel, metal catalysed methodologies. Outside of chemistry, he likes to spend his time cooking, photographing and listening/playing music. Originally from Slovakia, Lucia obtained her BSc Hons in Chemistry at the Slovak University of Technology in Bratislava. For her thesis Lucia worked on Pd(II)-catalysed oxycarbonylation cyclizations of homoallylic alcohols under the supervision of Prof Gracza. Lucia's research interests lie in natural compounds and new methods to synthesise them. In her free time, she enjoys going out with friends, cooking or watching series. In winter, Lucia loves spending time snowboarding on the mountains. Alistair is the recipient of the Oxford-Radcliffe SBM CDT Scholarship 2017. Originally from Weymouth in Dorset, Alistair completed his MChem degree at the University of Oxford. 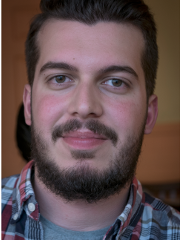 During the summer of 2015, he was a visiting student at ETH Zürich under the supervision of Prof. Erick Carreira, where he synthesised novel pybox ligands for use in the synthesis of a natural product. His Master's project was with Prof. Ed Anderson, working towards the total syntheses of two 20-membered polyketide macrolactams, focussing particularly on a synthetic route that was applicable to other natural products within this class. His current interests are at the intersection of synthetic chemistry and computational modelling. When not in the lab, Alistair can be found either in the pub, on his bike, or playing a musical instrument. 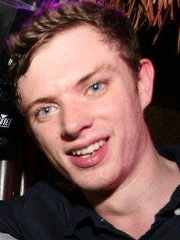 Jack is originally from London; he completed his undergraduate degree at Trinity College, University of Oxford. During his Part II project, Jack worked in Prof. Martin Smith's group investigating an enantioselective synthesis of heterohelicenes using a chiral counterion-directed approach. Jack’s interests in organic chemistry lie in asymmetric catalysis and the total synthesis of biologically relevant compounds. Outside of the lab, Jack enjoys cooking, drinking, and travelling. Tom completed an MSci in Chemistry (International Programme) at University College London. In 2015 he attended a Summer School at the University of Leiden on Energy and Sustainability in Chemistry. Following this, Tom spent his 3rd year at the University of Toronto working with Prof Robert Batey on synthesis of allyic carbamates. On his return to the UK he was a recipient of an EPSRC research bursary to undertake summer research with Dr Tom Sheppard at UCL. This summer project led into his MSci project, in which a range of noble metals and copper were used to directly arylate azulene and other derivatives. Tom was the runner up at the SCI Undergraduate Organic Symposium in June 2017. For even more fun he continued working on the project over the summer of 2017 up until the day before his graduation! When not obsessing over Chemistry Tom likes to spend his time reading about or discussing international affairs and global relations with a focus on US and Middle Eastern politics. Alongside a passion for making and drinking cocktails he also enjoys playing badminton. Yining is the recipient of a St John's RCUK Scholarship. Originally from Singapore, Yining completed a first class MChem at the University of Oxford in 2017. During her final year, Yining did a 4-month internship at Hoffmann-La Roche at Basel, Switzerland. Her academic interests include the applications of organic chemistry in clinical and biological chemistry. Outside of the lab, Yining enjoys playing bridge and has represented the University of Oxford at various competitions.